Danielle Daws: Ooh La La! Check out the new set from The Alley Way Stamps! It's called Ooh La La, and it's such a girly set! I whipped up this card this afternoon using Bazzill Card Shoppe cardstock and some Glossy Accents. Want to win it? Of course you do! Head over to the TAWS blog and leave a comment to be in the running. You've got until Sunday night! wow this is fabulous...love how you added the glossy accents..
Love love love this stamp set! 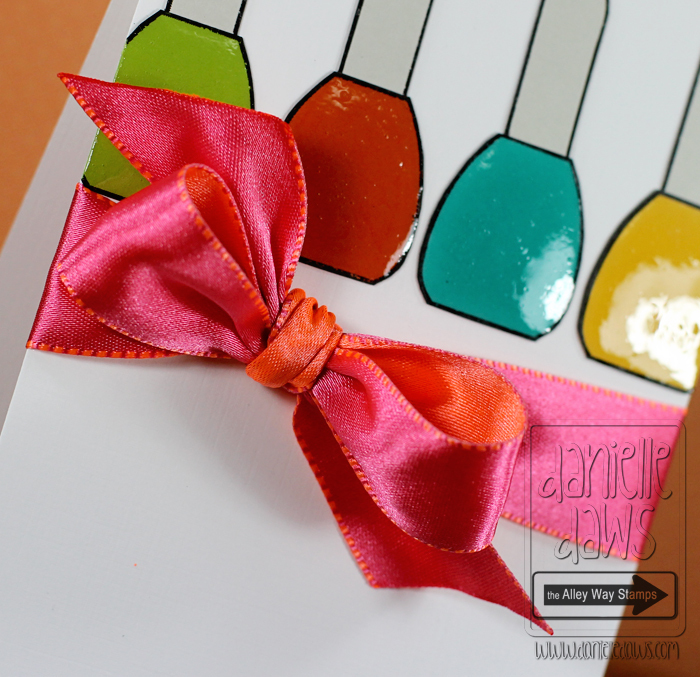 Your card is soo much fun and that ribbon is gorgeous!